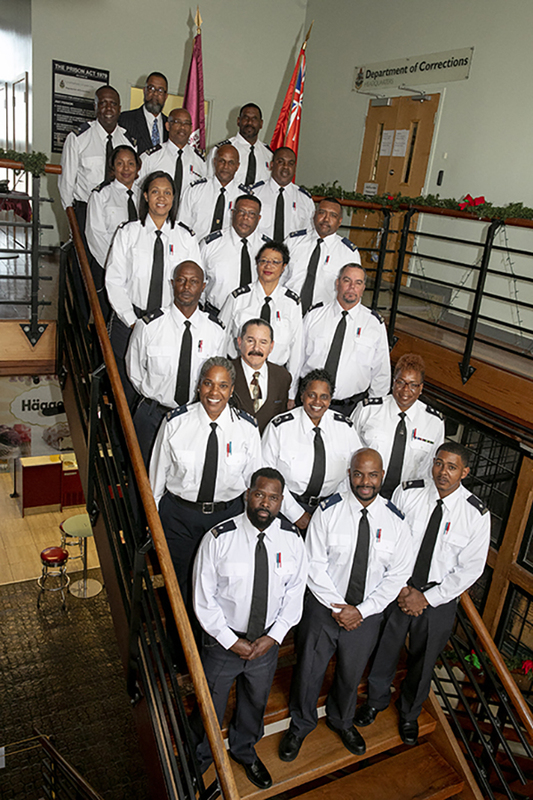 The Department of Corrections highlighted the promotion of 19 corrections officers, which took place at the Clocktower Mall, last Friday. Attending the ceremony were senior Ministry of National Security and Department of Corrections officials, as well as family and friends of those who achieved professional success. At the event, it was noted that ten officers were promoted from Basic Officer to Divisional Officer, five officers from Divisional Officer to Principal Officer, three from Principal Officer to Chief Officer and one from Chief Officer to Assistant Commissioner. Today, the Acting Commissioner of Corrections, Keeva-mae Joell-Benjamin said, “The last officer promotions were in 2014, so this was an exciting time for the Department of Corrections.